Longridge Golf Club is located in Preston. Set away from the hustle of the city life and into the tranquil embrace of nature, this is a unique sports complex. This prestigious venue offers unique event space for various functions. 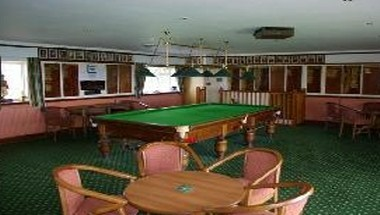 The upstairs lounge, known as 'The Greenwood Bar', is the main gathering place for the members and visitors before and after their round of golf. It offers a large spacious area with extensive views of the Ribble Valley and the 1st, 2nd, 17th and 18th holes. Whatever be the occasion, Christenings, Anniversaries, Weddings or Birthday Celebrations all are catered for to an extremely high standard in this venue. We are sure to make your events a grand success.